Gestures have been an iconic piece of the mobile computing experience since the beginning — even without an icon. You will be able to Learn How to Use Gestures on the Huawei Mate 20 Pro? Today we are here with Detail guide on Gestures Setting. This is Huawei’s contextual shopping concept. When activated, two thumbs pressed on screen will capture what’s on screen – Google Lens style – identify it and then open Amazon Assistant (this app has to be installed) to go shop for the item. Problem is, it doesn’t work very well at all. Yes, the Mate 20 Pro can project to a screen, like a full-on computer. Flip to mute the phone when it’s ringing or the alarm is sounding. One-handed UI, HiTouch, Voice Control, Gloves/Mistouch modes and Motion Control (with Knuckle Gesture) are accessible. Swipe down from the top of the home screen > hit the settings cog icon > select Smart Assistance. Capture your screen in real-time. Activated by tapping two knuckles twice on the screen or pressing-and-holding the power button and volume up key (not volume down as this will take a static screenshot). The resulting video is saved in your Files > Videos area. Draw where knuckle-drawn letters activate apps (C for Camera, M for music, and so forth – each can be customised from a fuller list of apps). 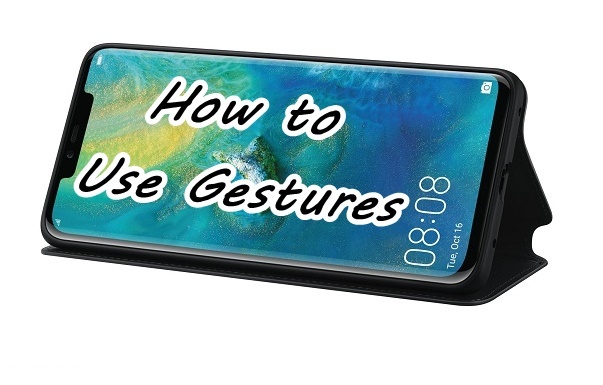 I hope you understand all the article on How to Use Gestures on the Huawei Mate 20 Pro? If you have any problem then ask in the comment box. We can solve your problem. If you liked this post share it on social (Facebook, Twitter, GooglePlus,Instagram,LinkedIn, Tumblr) media and consider checking out our other blog posts to stay updated with the latest Tech Content!